As the Premier League resumed at Old Trafford after the international break, Manchester United have some catching up to do after the defeat to league leaders Manchester City while Palace looked to move away from the relegation zone. The game started just the way Jose Mourinho wanted, in the first quarter of the game, both clubs had good chances to score with Wilfried Zaha close to finding the net for Palace. Thirty minutes into the game, United created two golden chances – one from Lingard then from Martial, but Hennessy was equal to both efforts. United continued to press Palace late in the game with long balls, but the Eagles defended their lines well, it was another forgettable performance for the Red Devils and the game ended goalless. Matteo Darmian made his first appearance since August, the Italian international has never made a secret of his desire to return home but he remained on top of his game even behind the scenes while he wasn’t playing. That’s one reason why Mourinho still holds him in such high regard. He was picked for the game ahead of Diogo Dalot, who had to watch the game from the sidelines, and skipper Antonio Valencia who has not started a game for United since October. Mourinho recognised the quality he presents and he did not fail to deliver as he was instrumental in blocking the Eagles’ attacks. Under Mourinho, United have predominantly adopted the 4-3-3 formation, which leaves the duty of leading the line to a lone striker, but what happens when that striker becomes a no-show? Although the Belgian has a decent scoring record at Old Trafford, his recent performances have left his ability in doubt and it was no different against Palace. His performance suggest he has lost dynamism around the box and his physical presence no longer frightens defences like the Lukaku of old. The Belgian international needs to rediscover the form that saw him move to United and avoid letting the pressure to score get to him. 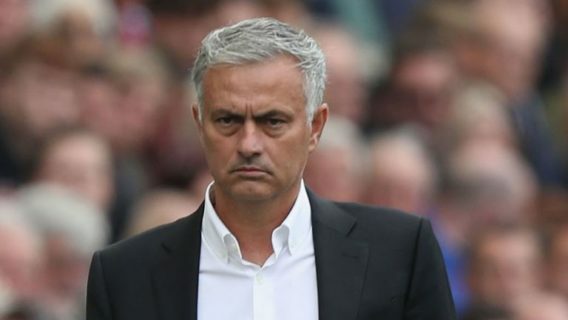 Mourinho’s squad is built around him and if he doesn’t find some form soon, this could spell disaster for United who are already enduring a horrible campaign.